With this book, no trip outside will ever be the same again. 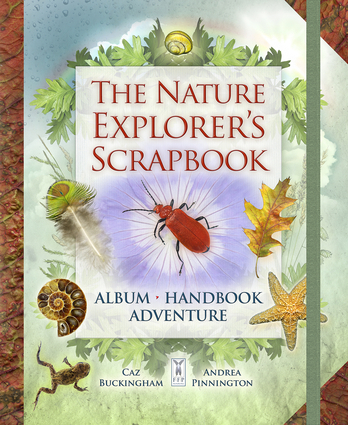 Each page marks a new adventure as you are guided through the incredible world of nature and invited to search, explore and gather things as diverse as skulls and shells, tadpoles and trilobites. When you have finished (though that may take a lifetime) you will have created your own unique nature masterpiece that is a wonderful record of trips spent outside. This large hardback book with elastic band closure and beautiful photos has pages for collecting summer grasses, weather observations and photos, feathers, leaves, and much more. Caz Buckingham and Andrea Pinnington set up Fine Feather Press to give parents the tools with which to engage their children with nature.